The grid is the main screen for the front desk. 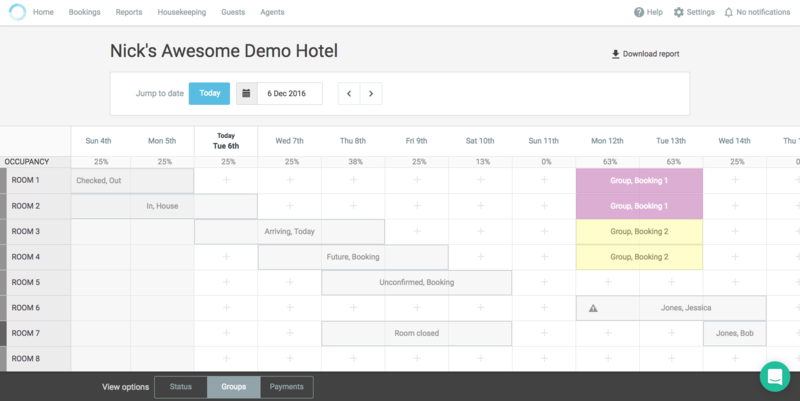 It shows 30 days of bookings across your rooms (2 weeks prior and 2 weeks ahead). 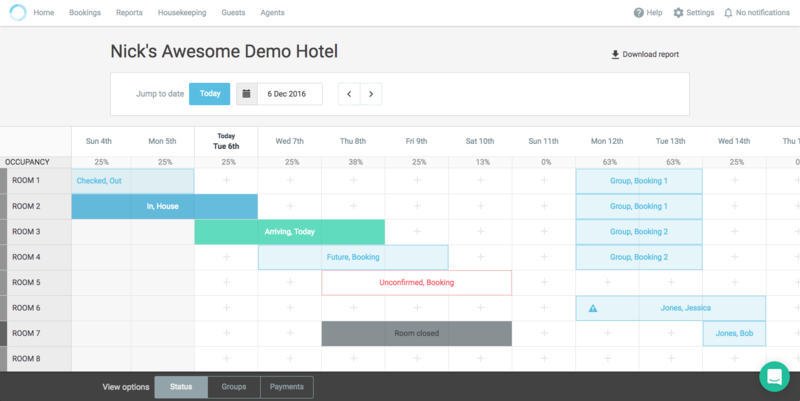 You can drag and drop bookings on the grid if you want to quickly shuffle bookings around. Note: You cannot move checked-out bookings as it is finalised, or past bookings. If you have a booking in the past and you need to modify the dates, you need to edit the booking in order to change it. 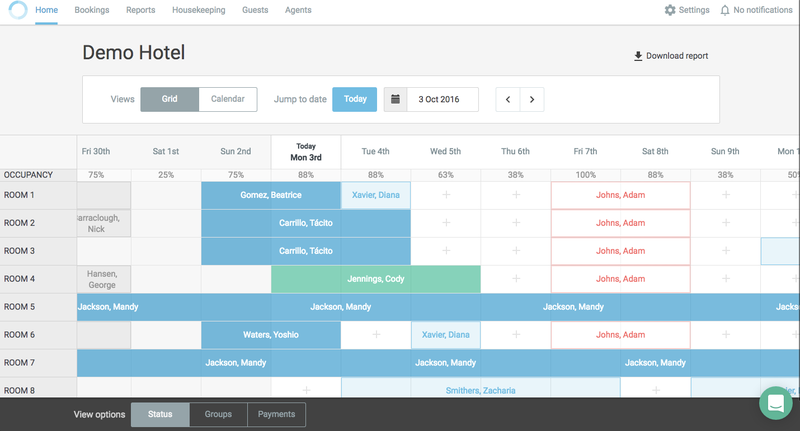 There are 3 view options on the grid to help you easily identify bookings. These options are Status, Groups, or Payments, and they are available along the bottom of the grid. When viewing the grid through the group options, group bookings will be highlighted in the same colours. All non-group bookings will be shown in grey. Selecting the payments tab will display all the bookings by payment stage; Paid, Overdue, Invoiced, Partial Paid, or No payments. The legend along the bottom will show which colour corresponds to which payment stage.